Are you Dan Brown fan, then you'd certainly like this site. The Word Jumble when the flash is loading, itself will keep you guessing and Wow ! what a beautiful flash. You gotta see it to experience the beauty of computer technology. Initially I was thinking that the Movie may not be as good as the book was. But then, the teaser trailer and the Flash has given some confidence to wait for the movie and watch it. For those of whom, this topic is new, "The Da Vinci Code" is a book by Dan Brown which is a story of continuous mystery solving adventure, that reveals many devastating secrets. 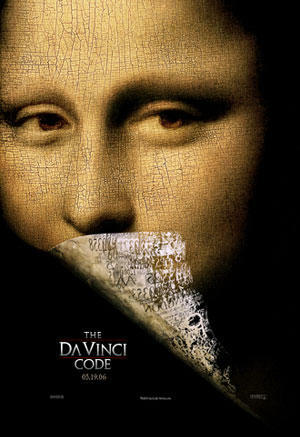 That is being attempted into a movie, "The Da Vinci Code". It comes from the director of my favourite movie "The Beautiful Mind". Da Vinci has Tom Hanks starring in it. 2006 is a good year with many such most-awaited movies coming up. Ice Age II, Woman with Water (MNShyamalan), Da Vinci Code, Mission Impossible 3, Indiana Jones 4(Spielberg again) and the Italian Job 2. See if you can crack the Title of this Post ! BTW, I've added Amazon Ads to my side bar. Any suggestions ? Super site!. BTW, who are starring in the movie? semma flash la, deepak ! Tom Hanks is the only interesting name, baakiyellam french. i am a fan of stevan Spielberg. Mr. One, you are an optimist. sai thilak, i dont read much of novels. to me Da Vinci code was faster in tempo. Angels and Demons was even faster, and more better than DVC. Its no controversy anymore. hey Flashlight. nope. thats not an anagram. thats just a jumble of words like what you find in DVC.simply click here (lavsubbu.. you too) and you will find the meaning..
"it has has loaded vinci code"
First I am amazed at the flash presentation. Thanks. I look forward to seeing the movie. I haven't read the book yet. I have the CD's at home. The movies that are coming out, I am a big fan of M.K. shyamalan. Wondering what this theme is going to be.! 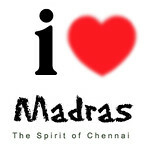 i know you will like it Venkittu sir. this time he is working with different producers. and they say its going to be the best of Shyamalan's twists. cant wait. My favorite Spielberg movie is Jurassic Park & The War of the World. Ha, checked that out before. Nope, am not a 'fan' of Dan Brown albeit I liked them when I read it for the first time. Paul Bettany who played Russel Crowe's 'imaginary' roomie in the Beautiful Mind plays the villan Silas. And the legendary Ian McKellan (Lord of the Rings-la oru vellai beard-oda oru thaatha varuvar theriyuma?) plays a significant role. I guess Pirates of the Caribbean 2 is coming in 2006 as well! Time to rejoice. And about the Rip-exchange thing, is it OK if I put a notice on my blog? And would you put one on yours? 14th August is fine, but place - decide and let me know. jeevan, mine too. although Minority report still stands first. krithika, thnks for the added info on DVC movie. Rip exchange, check your email.